What's Probably Going to Happen in 'Luke Cage' Season 2? 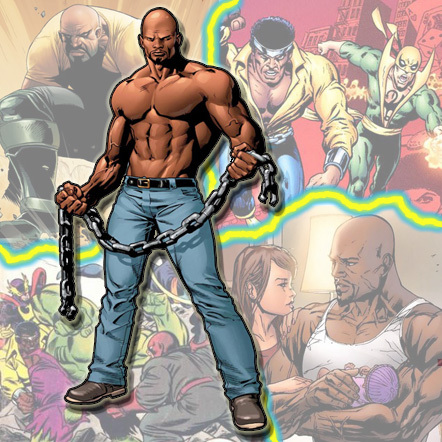 What will Power Man have to deal with in the 2nd season of 'Luke Cage'? The next time we see Luke Cage, he’ll be a part of Netflix’s The Defenders. However, Luke’s solo show ended with so many open plotlines that Harlem will easily be a hotbed of new problems when Cage gets a second season. For instance, will Luke actually make it to Seagate? What’s up with the coffee that he was supposed to have with Claire Temple? When exactly will Misty Knight ditch that regular, lame, human arm for her awesome, mechanized Stark arm? Although, we don’t know whether or not there will be a Season 2 of Luke Cage, it would be unwise to not bring the show back due to its immense popularity. It was the first show to ever crash the Netflix site, and it spawned a range of conversations on everything from gentrification to police brutality. If, and when, Luke Cage is renewed for Season 2, we can expect a myriad of things to happen. 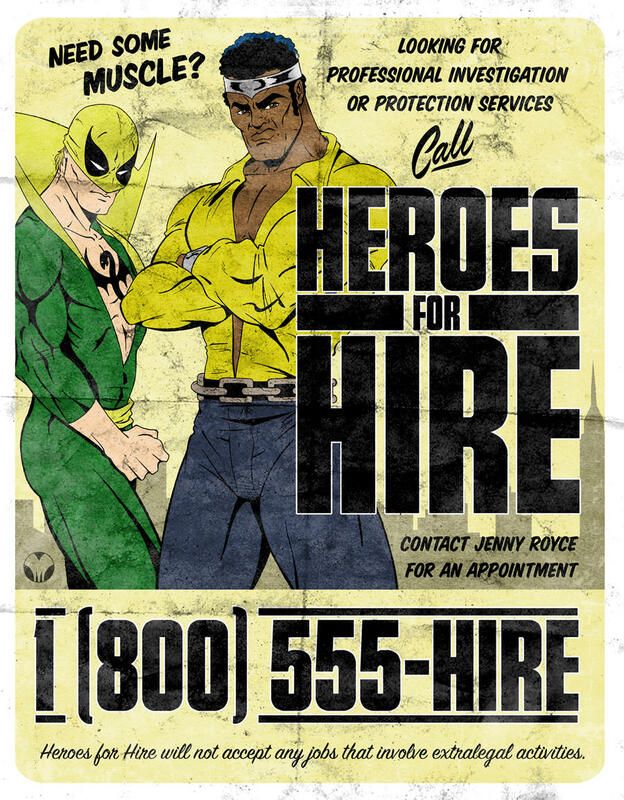 The first season of Luke Cage made a lot of references to his place as half of the legendary Heroes for Hire team. Initially Luke starts the Hero for Hire company by himself, but his partnership with Iron Fist is where the brand really took off. After meeting Iron Fist in The Defenders, it’s possible that Luke goes on to actually start the team, which would make an excellent continuation for Marvel because the Heroes for Hire eventually expands to include a whole host of superheroes, including detective Misty Knight. It seems as if Luke is in love with Claire Temple. But, it’s not meant to be. Luke and Jessica are destined to be together, sorry. The two go together like biscuits and jelly. We do not know when the relationship will actually flourish into what we know it to be. Considering The Defenders and Season 2 of Jessica Jones will happen before Luke Cage Season 2, the writers have a lot of time for the two to reunite. To think these two go on to have an equally powerful child is beyond me. The meet up with Iron Fist actually opens up new possibilities for Luke Cage. In Iron Fist’s story, his father, Wendell Rand, was killed by his business partner, Harold Meachum. After Harold is killed and the murder is pinned on Iron Fist, Harold’s brother, Ward Meachum, starts hiring villains to kill Iron Fist. And this is where Shades comes in. In the first episode of Luke Cage, Misty Knight tells Luke that he talks in his sleep. When Luke asks what he was speaking about, Misty brings up two names, Shades and Comanche. We saw Shades a lot, but never really see Comanche outside of the scene where Shades and Comanche jump Luke in prison. But, Comanche is just as important to Luke Cage’s story as Shades is. Shades and Comanche partner up to become the “Hoodlums for Hire,” a duo that rivals Luke Cage and Iron Fist. Ward Meachum plays a big part in this all because he gives Shades and Comanche specialized weaponry. Shades gets a pair of optic blasting shades, sort of like Cyclops, and Comanche gets specialized arrows, sort of like Hawkeye. The two are constant enemies of Luke Cage and Iron Fist. At the end of the series, Dr. Noah Burstein is seen entering the hospital room that is holding Willis Stryker. After retrieving his medical research from Claire and Luke, Dr. Burstein was definitely likely to replicate his work after seeing what it did to Luke and finally developing a formula for success. Although Tombstone is introduced as a Spider-Man villain, he has fought Luke Cage before and has similar powers to the bulletproof superhero. The two square off in the Luke Cage noir story, which ironically has Willis Stryker in it as well. But, if you suspend your knowledge of comic books and just let it happen, it can be a real thing. We know that many of the attempts to replicate the super soldier experiment fail. Willis Stryker, forever living in Luke Cage’s shadow, might succumb to the experiments that Dr. Burstein will put him under. However, John Mclver, aka Bushmaster, is a crime boss that survives the experiments and develops super strength, agility, and toughness, the same powers that Luke possesses. He is also a member of the Maggia crime family, the same group that Shades belongs to. He does battle with Iron Fist in the comics as well so it would make sense for him to be the next villain up after Luke and Iron Fist meet one another. Cause why stop, ya’ know?